Home » Post tagged "chickens"
Our other new chicken breed at Mudchute is rather chunkier than the tiny Dutch Bantam. 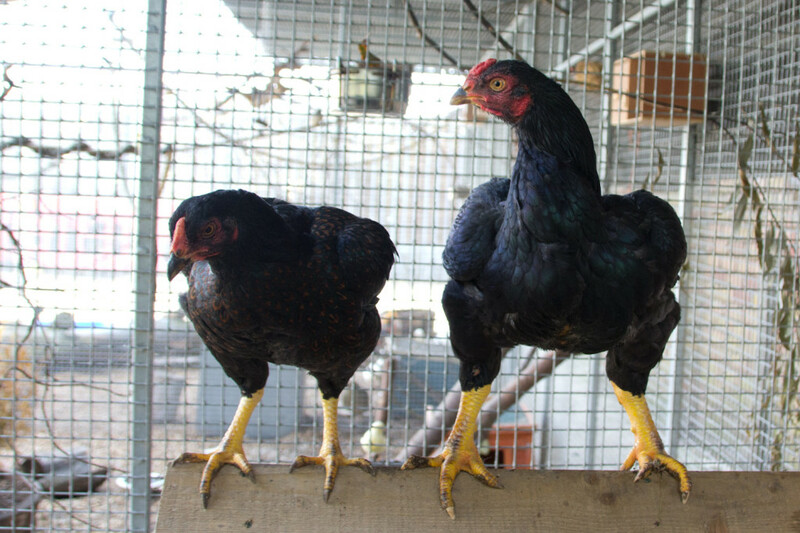 In comparison to the dainty bantam, these birds look a bit like chicken weightlifters! These well-muscled birds are our new Indian Game, also know as the Cornish Game in America. First records of the breed date back to the 1850s. It is believed that Indian Game birds trace their origins back to pit fighting with ancestors including Aseel, Malay, Old English Game and a breed similar to Sumatra Game. However, birds proved far more valuable for their large quantities breast meat rather than fighting ability and continue to be prized as meat birds. Here in the UK, only two colours are accepted, the original “dark” variety like our birds, and the “Double Blue Laced” which was introduced in 1887. Dark birds like ours have a rich green glossy sheen or lustre to their black feathers, which you may spot in the right light. If you take a closer look, some of their other feathers show the beautiful patterning called lacing and this particularly visible in hens. 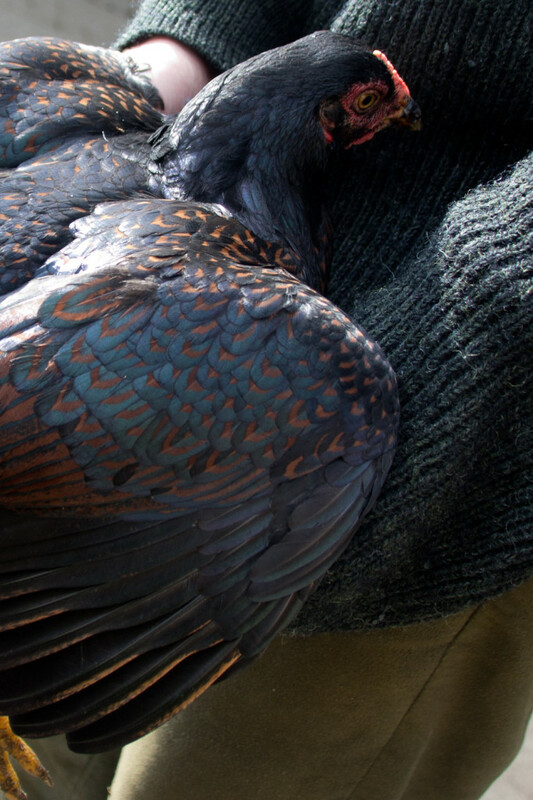 For more about this unusual breed, visit the Indian Game Club. 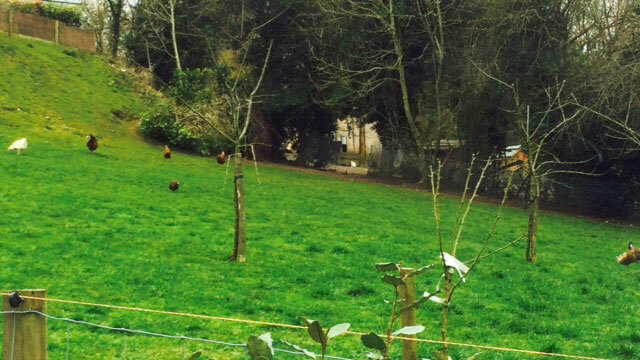 There is a diminutive new chicken breed on the farm, the Dutch Bantam. 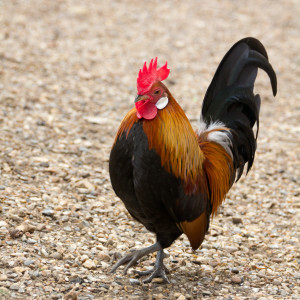 Bantams are small chickens and the Dutch bantams is the smallest! 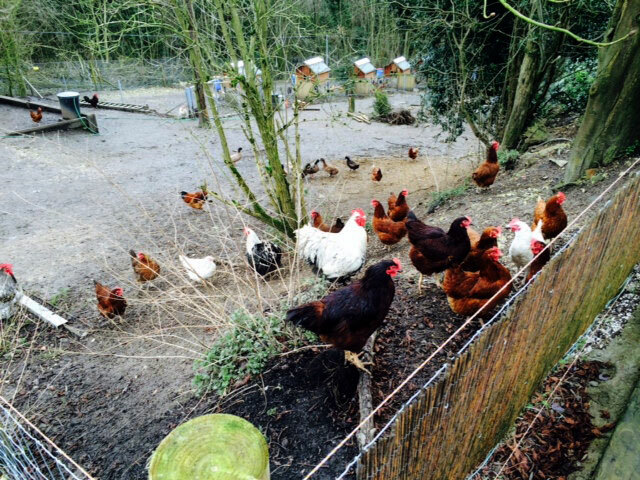 The new bantams are the smallest of the chicken breeds here at Mudchute. 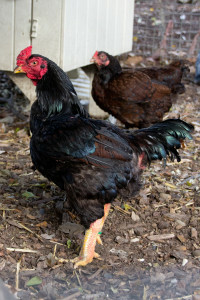 At full size, a Dutch bantam cockerel weighs only 500-550g. 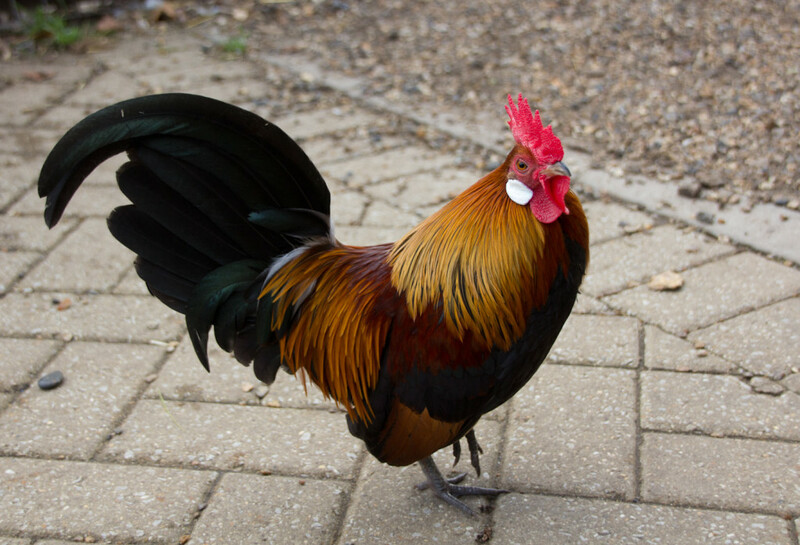 It is one of few “true bantam” breeds, meaning it has no large counterpart. As their name suggests, the breed originate in the Netherlands where they are called Hollandse Kriel. 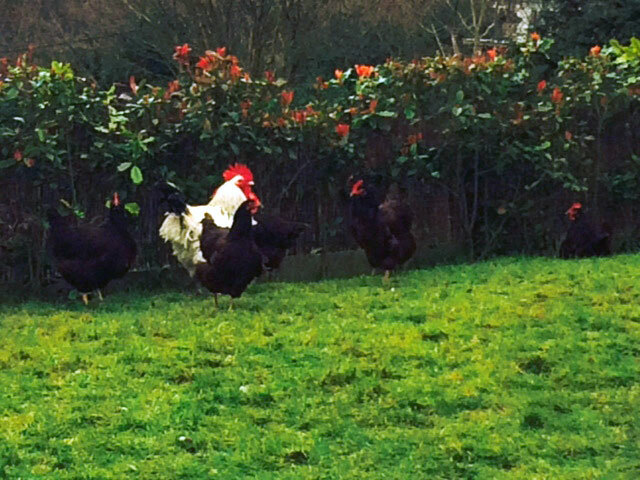 The breed standard for Dutch bantams includes a “upright & jaunty” carriage, which we think our cockerel certainly exhibits as he strolls Pets Corner and watches over his hens. The breed is accepted in a variety of colours. Our group are of the gold partridge variant. 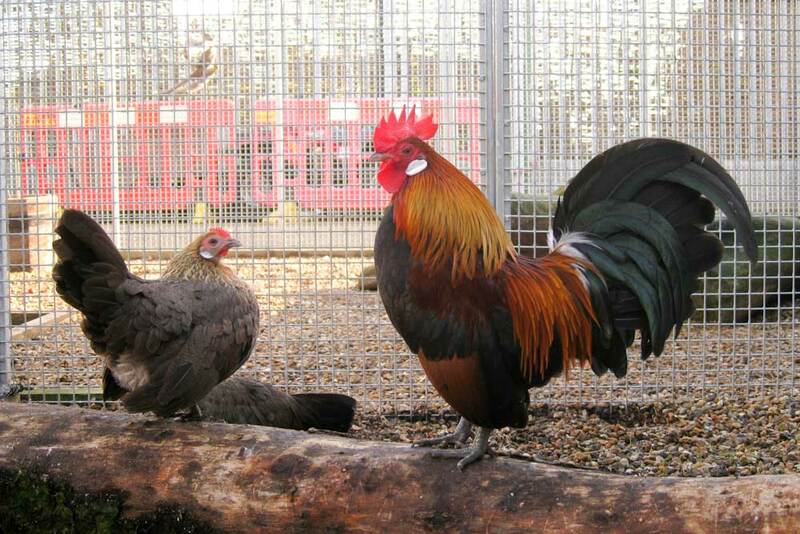 You can find out more about the breed from the Dutch Bantam Club of Great Britain.